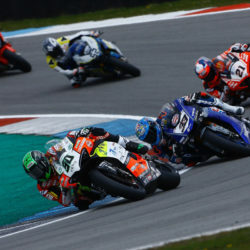 After a Saturday tormented by crazy weather conditions at Assen, which forced the whole programme to be postponed to Sunday, today the races were regularly held in cold but nice atmospheric conditions, and the large crowd of Dutch spectators saw two full rounds, covering 21 laps. This morning in the Warm Up the riders went on to the track with only 2 degrees of temperature in the air and on the asphalt. Eugene tried a new set-up configuration, aimed at changing the weight balance. 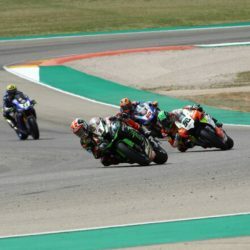 Although his time was not significant, the feelings were positive, and it was decided to continue down the same road for Race 1, too. 11.00 am the first race starts; and Eugene immediately finds himself in difficulty, in the long corners and he loses a lot of time especially in the first laps. He still finishes the race in 14th position though; managing to beat an aggressive Kiyonari. In Race 2 the team’s technicians tried to make a further change, in an attempt to increase Eugene’s feeling. 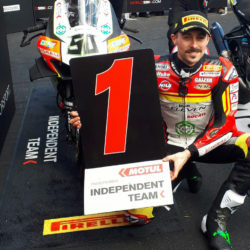 With the asphalt temperature rising to 17.0 ° C the V4-R by Go Eleven seemed to work better and Eugene managed to fight for all 21 laps with Marco Melandri and Leon Camier. 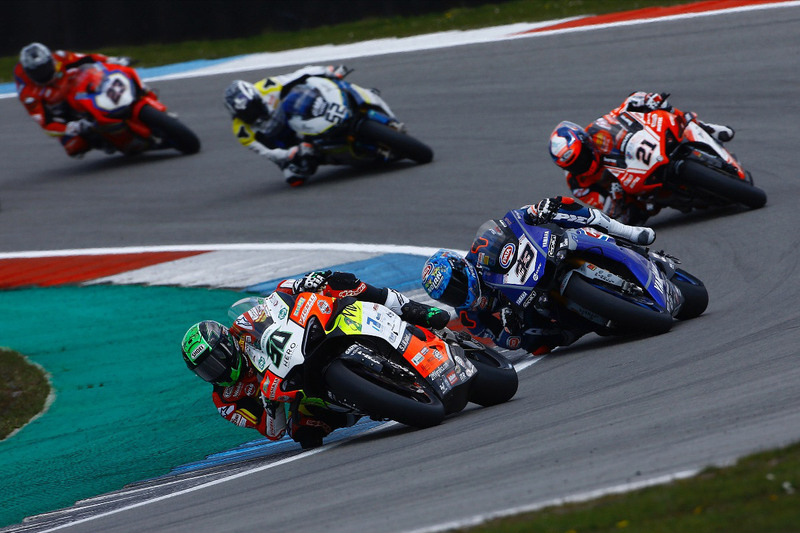 The battle intensified towards the end of the race, several overtaking moves adding to the contest, and several times our rider goes to the front of the group, and at the end he closed the door on Melandri – winning the sprint and finishing in 13th position.